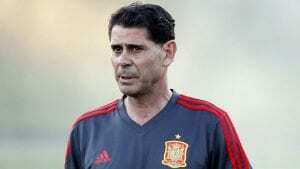 FERNANDO HIERRO, who managed Spain’s disastrous world cup campaign, has left his role as national team manager. Potential new replacements are now being lined-up by president of Royal Spanish Football Federation, Luis Rubiales. Luis Enrique has now emerged as the favourite to take over from interim head coach, Fernando Hierro. Last week it was suggested that former Malaga boss, Michel, was the players preferred choice of coach. Other names being linked to the role are Quique Sanchez Flores and current Belgium boss, Roberto Martinez. In light of Hierro stepping down, he will not return to the national sporting directors position he previously vacated.